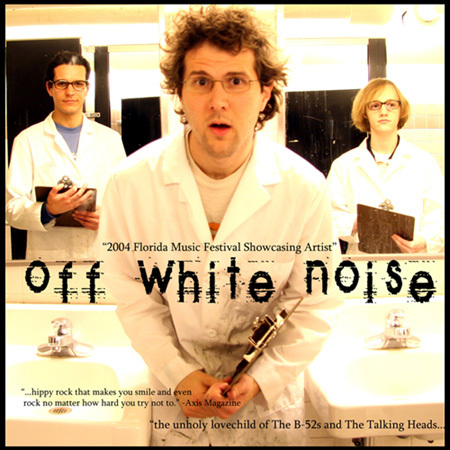 Off White Noise was a quirky rock band formed in 2002 in Orlando, Florida. The band had several members at different times: Alex Romaniuk-Drums, Barry Kudrowitz-Guitar/Vocals, Martin Skelton-Bass Guitar, Terry Gaige-Cello, Dave Cow-Bass. Moo's So Great She Could Probably be Science Fiction.